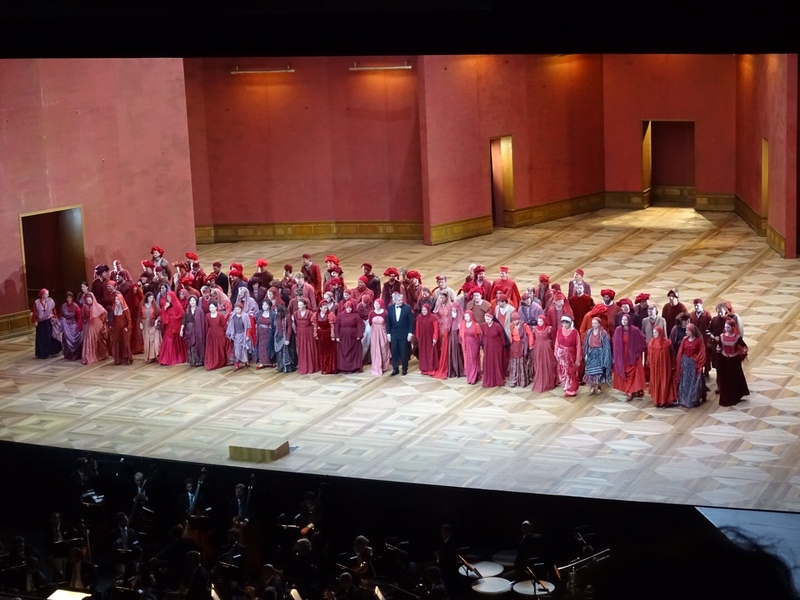 This was the best performance seen this season in Salzburg, great comparison of impressions after seeing production live with perceptions from recorded/ streamed performances. 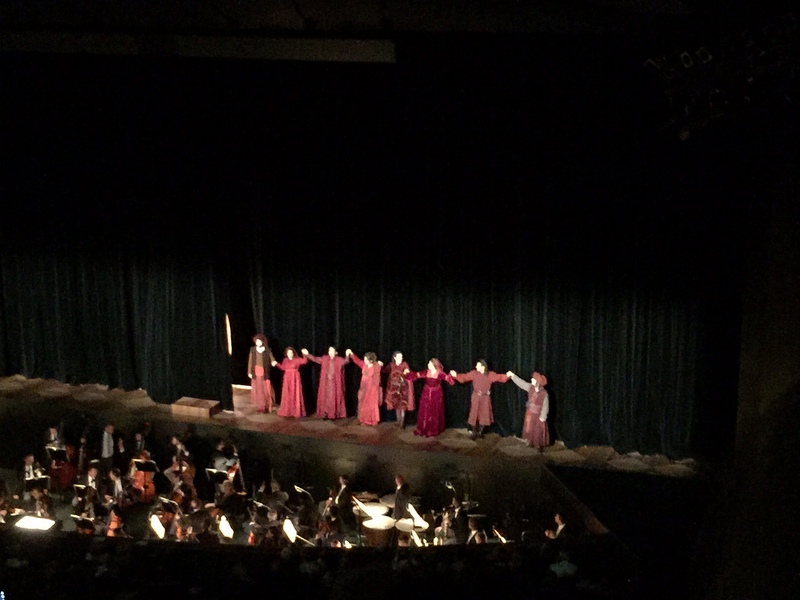 The cast was well balanced and complementing each other, Anna Netrebko run the performance, while both Meli and Rucinski were believable brothers; Azucena by Semenchuk was outstanding, in some moments she stole the show. 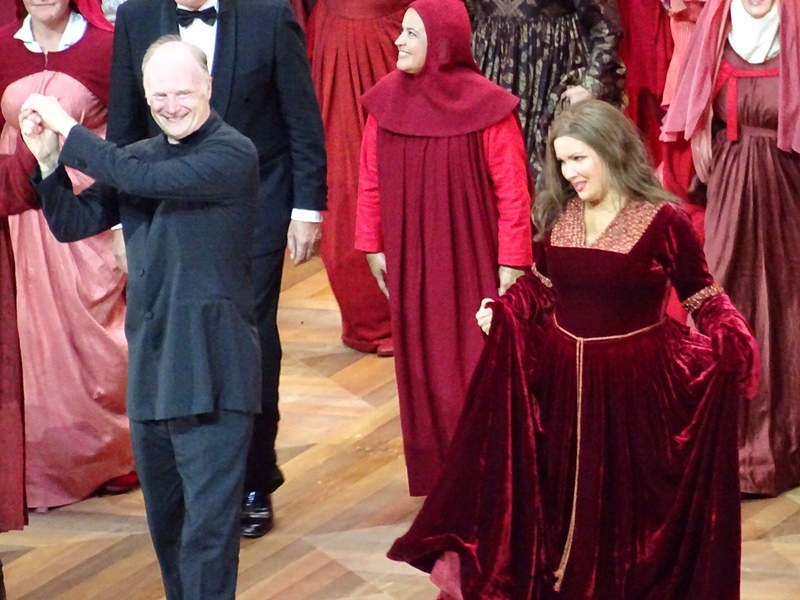 Anna was actually impersonated Leonora, her singing impeccable, her lush timbre and round middle and low register, combined with clear, bright and agile coloraturas clearly confirms that she is one of the brightest stars in soprano range. Her stage magnetism is incomparable, all attention automatically switches over to her as soon as she appears on stage. The role encompasses both very lyrical and also the most dramatical passages, and she excels in all. 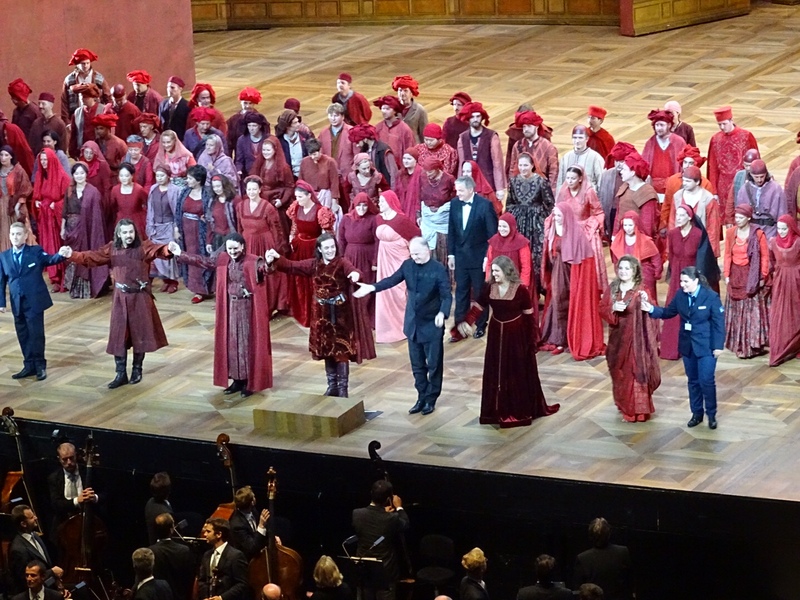 Outstanding performance, which justified trip to Salzburg and paid off year long waiting to see the production live. 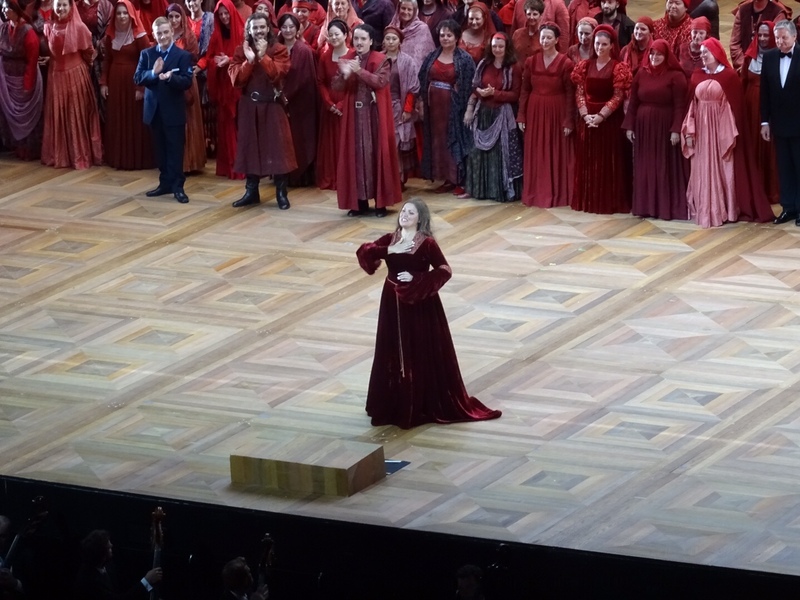 Francesco Meli was almost as good as expected, there were 2 moments where it was not clear if he was unable to reach or sustain high note, or this was impact of the chorus joining. Meli has a bit limited acting potential, he looks more comfortable finding designated spot and delivering his part. There were also elaborate and convincing acting moments, especially in duets with Anna, very intimate and tender beginnign of Act 3. Artur Rucinski has been decent replacement to Placido Domingo as Il Conte di Luna. Last year Placido Domingo starred only in two performances before stepping down due to indisposition and handing over the role to Rucinski. As I have also heard Domingo (whom I admire and appreciate highly) from live streeam of premier performance, Rucinski was substitution for better both vocally and dramatically, as now the story becomes more believable and authentic, – those two brothers in paintings and in Azucena’s story are of similar age, and when fighting for Leonora, being contenders for her heart is more credible from perception of the wwhole storyline. Rucinski has velvety, smooth baritone, which probably lacks some force or volume, but he can certainly act and deliver credible, engaging performance. Ekaterina Semenchuk as Azucena has deep and rich mezzo with bright high register. Her dramatic and emotionally charged story of her fate and life haunted by avenge touches deepest corners of every member of the audience, she received thunderos ovations both during performance and also curtain calls. Her vocal skill is admirable as well as dramatic capabilities. I will certainly be looking out for her future performances to see more of her art. Adrian Sâmpetrean, Ferrando, had light indisposition due to bronchitis, announced by staff before performance, but nevertheless he delivered admirable performance without slight hint of illness. Direction by Alvis Hermanis, together with his concept of sets and costumes creates visually pleasing, engaging and dynamic performance. 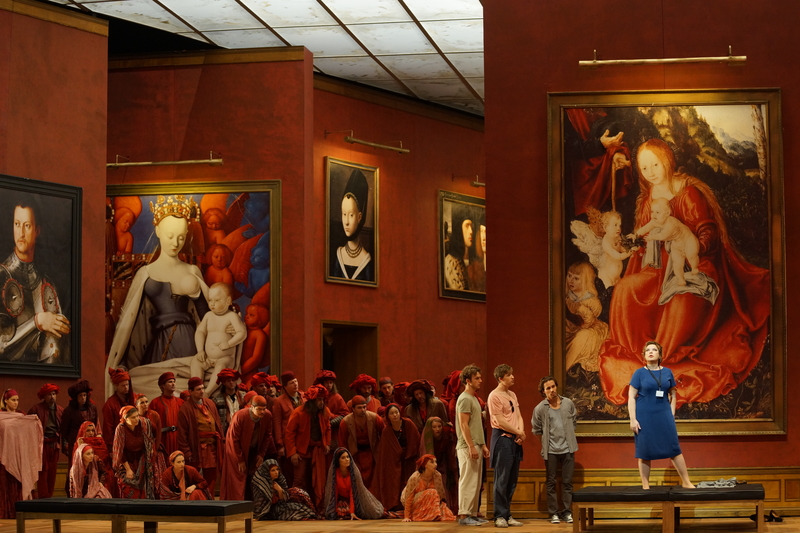 Sets are great, usage of Festspielhaus large and deep scene is impressive, depth and story line supporting paintings are very much helping to embrace the libretto and unresolvable conflict. Seems like revival has got some new accents, I do not recall additional video projections in Act 1 last year (it might be only memory lapse or shortcoming of livestream quality). Funny moment of stage dynamics – I was wondering how the set blocks are moving, then noticed running feet behind one element, and afterwards it was difficult to disregard running crew. Sets became disturbing only once at the Act 3 dramatic scene when dashing pictures stole all attention away from the singers and left me worrying if runners could stop the construction blocks in time or avoid mutual collisions. Last year I have received comments from several attendees that constant movement of sets have made them bit dizzy – at least I have not got such impression. I hope very much that recorded version of this Il Trovatore on DVD/ Blu-Ray will become available soon, as it will certainly be one of those performances I will be happy to recommend as must-to-see to everyone who will ask advice on beginners watching starter set – also because Il Trovatore itself is one of my all time favorites.